LIKE if you want more awesome cheats! First scan "32 30 00 00 00 00 00 00 00 00"
You should get alot of addresses found. Change ALL the values to "2D 39 39 39 39 39 39 39 39 39"
Now go to Build > Decoration You should see the King Statues costs -9cash. Buy MAX 5 King statues to avoid getting banned. You will get around 45 cash. Spend all the cash as it will disappear on refresh. SO SPEND IT NOW! From the cash cheat, let's continue and hack some God/ Colossus units. NEW SCAN "00 32 31 30 39 00 00 00 00 00 00 00 00 00 00 00 00"
Go to Build, NEWS!, and buy the new LIZARD GLADIATOR BARRACK using the cash hack that we used earlier. Refresh the game. It will show up as the unit that you chose from the unit code list above. Watch the video below if you cant follow my simple steps. 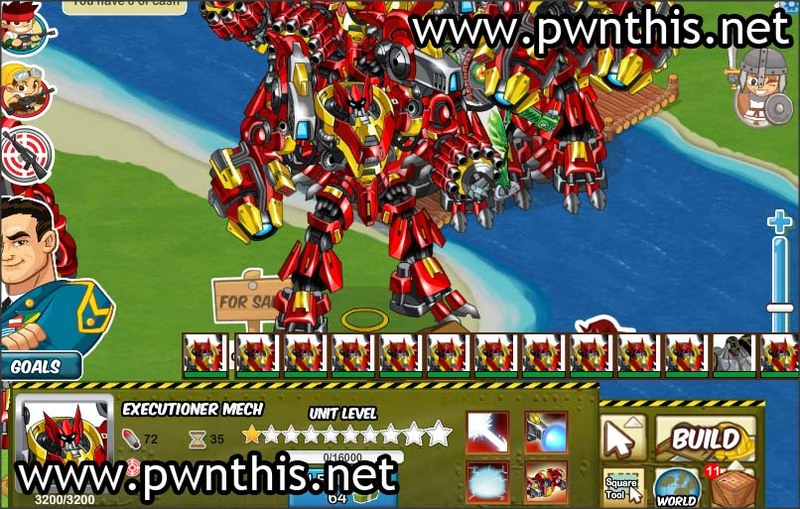 PWNTHIS is a professional blogger, web-designer and games exploiter.